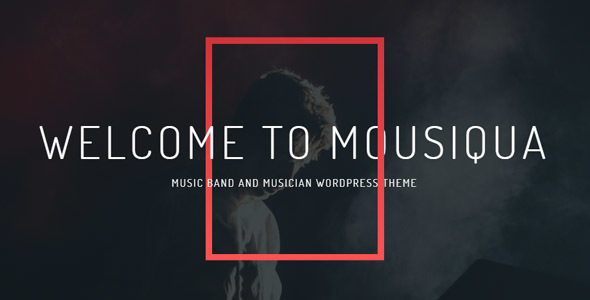 MOUSIQUA is a modern music Band and Musician WordPress Theme, it allows bands and musician to introduce themself with a unique simple scrollable one page fully loaded with a lot of section to get people know a lot of of infos. Fully Responsive Design & Retina Ready. Amokachi is fully responsive which means it will look excellent on your desktop, laptop, tablet and smartphone. Shortcode Generator. Amokachi provides the power of WordPress shortcodes easy to use and implement. Custom Widgets. Amokachi includes perfectly designed built-in custom widgets. Contact Form 7 Plugin.Amokachi includes styling for the Contact Form 7 plugin. SEO Optimized. Amokachi is very impressive in promoting your site. It have all inbuilt Search Engine Optimization parameters you have been looking for. Extensive Documentation. Amokachi comes with very detailed documentation, so even if you?re not familiar with coding languages you?ll have no problem to customizing this theme.